Get the FC Dallas Logo 512×512 URL. You can also get other teams Dream League Soccer Kits And Logos and change kits and logos very easily. FC Dallas has a very awesome Major League Soccer Kits. 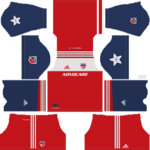 You can also get All FC Dallas kits. 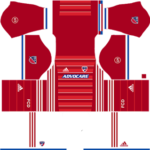 FC Dallas logo size is 512×512. There is a bull and name of the club in the logo. The logo is very simple but attractive.